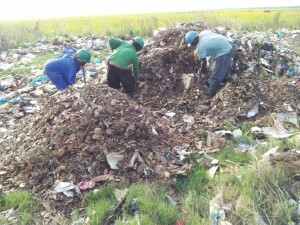 The main reason not applying human faeces and urine in compost is the fear that pathogens causes serious illness and sicknesses. We have to be sure that pathogens are effectively inactivated before we even think about reusing human excreta. become financially interesting to collect excreta efficiently without spoiling it through open defecation. 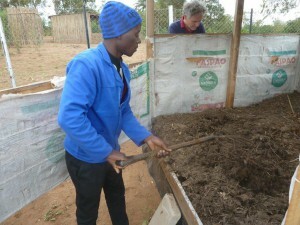 It is because of these tremendous potential advantages that we are very proud to announce that within the FUSP program in Xai Xai, we were able to introduce a new and innovative technology to produce 100% hygienic compost out of human excreta. 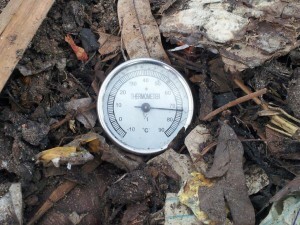 Recently the first badge of compost was tested: the compost is 100% free from dangerous e-coli, cholera and salmonella bacteria. 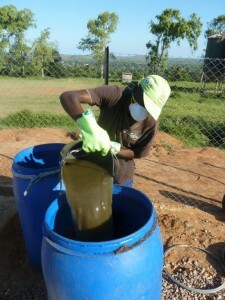 Tap here for the lab tests that were executed on compost of the Xai Xai compost farm operated by FUSP. If you are interested in more information on how we achieved this fantastic result, let us know.